Congratulations to Cameron Shepard and Karolynn Manuppella! Cameron and Karolynn were each awarded a $2000 scholarship from the Bookcliff Conservation to continue their education. 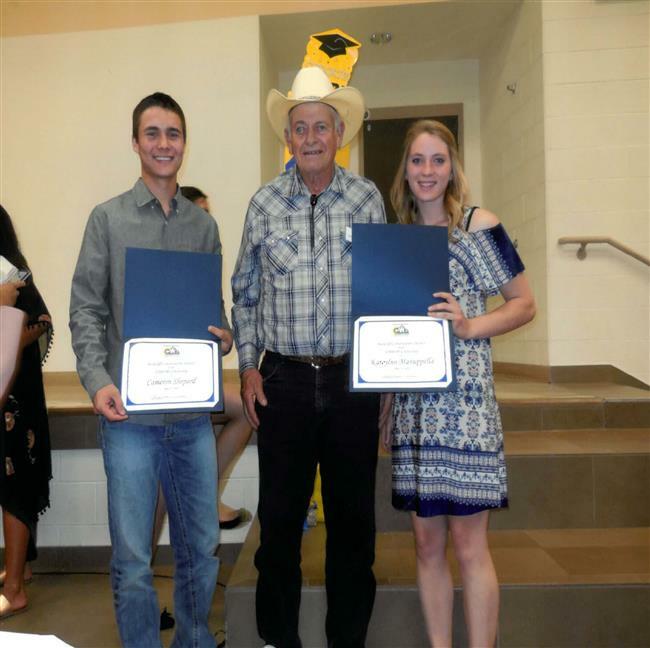 Charles Ryden, Bookcliff Conservation District, awarded the students the scholarship on May 15 at the Rifle High School. 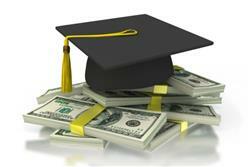 Applications are scored on grade point average, community service, and an essay. Be sure and check out all the opportunities the conservation district has for youth! Dennis Davidson and Rick Norman, Bookcliff Conservation District conservation technicians, instructed the 6th grade class at the Grand Valley Middle School in Parachute. The students learned about watersheds, enhancing the lesson with hands-on activities with the riparian trailer and how healthy riparian areas function. Dennis followed up later in the month with a soils lesson. Thank you Grand Valley Middle School for including us in your educational experience! Watch for additional activities throughout the year. 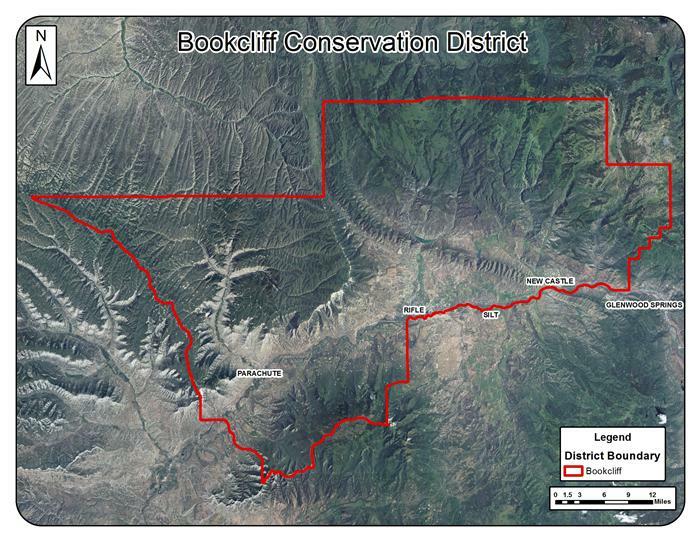 The Bookcliff Conservation District awards two - $2,000 scholarships for graduating high school seniors from Grand Valley, Rifle and Coal Ridge High Schools! Click here or the application. The deadline is Friday, April 6, 2018! Conservation District monthly meetings are held every 3rd Thursday at the Rifle Branch Library. Please call the office for an agenda.